The last 2 Royal Castles left in Miami are owned by 2 different people. There is Arnold’s Royal Castle (now closed) and this one is owned by James Brimberry. Both locations are open 24 hours. Both locations also serve Castleburgers (sliders) and Feastburgers (regular sized). The Castleburgers at this location were better than those at Arnold’s Royal Castle. They do put the buns on the griddle to warm/toast them a little and to absorb some flavor. I really liked the Feastburger. It reminded me of what Hardee’s burgers tasted like back in the 1980s. The secret here lies in the Pickles, Mustard & Ketchup on the bottom and the Tomato, Onion, and Mayo on the top. 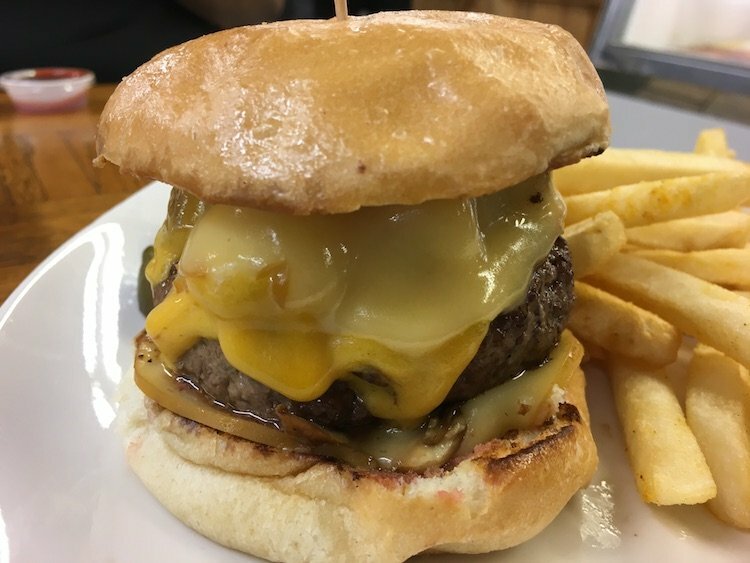 The Fast Food Holy Trinity of Sauces (Ketchup, Mustard, and Mayo) can give your burger a particular flavor profile necessary when it’s this type of burger. The fries were crinkle cut, not greasy but just standard stuff. If you’re trying to decide which Royal Castle to visit, I’d suggest both. They’re 10 minutes from each other. If you’re a true burger fan, you’d make the visits on the same trip. You posted the same phone number for both Brimberry's and Arnolds Royal Castle Restaurants. I only noticed because I am trying to contact each of them to see if one of them will ship to North Carolina.